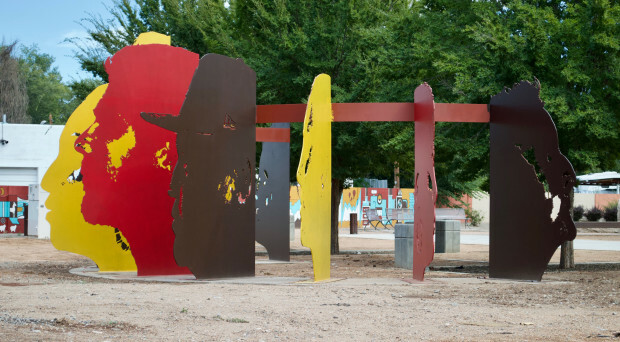 Ten plasma cut steel silhouettes arrayed in an arc honor the people and traditions of Albuquerque's South Valley. The silhouettes vary from 8 to 11' in height. 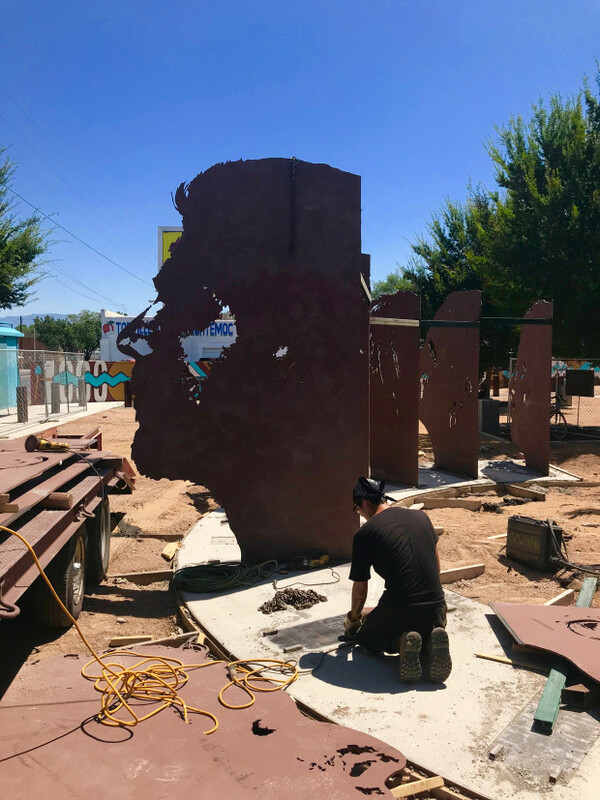 The sculpture is 32' x 16' x 11'. The profiles are painted and will be repainted in different colors every six months. 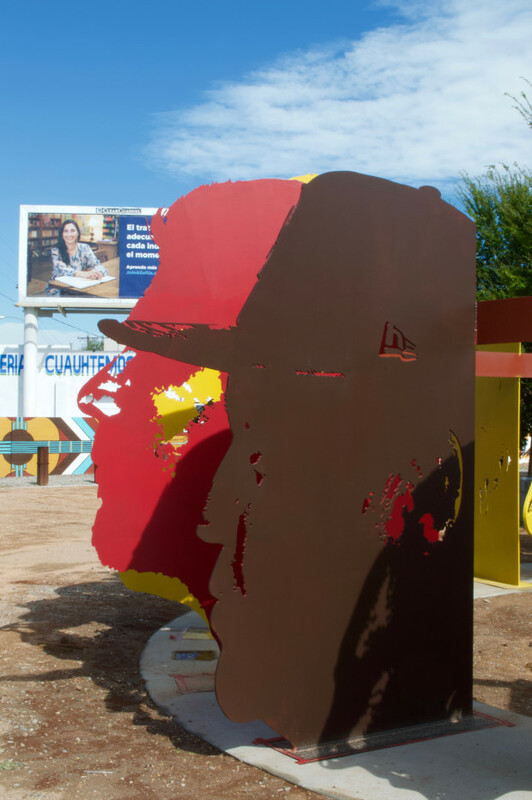 This public art project established deep connections with the community in which it is sited. Working with a team of young artists, we interviewed and photographed over 100 residents of the community. Listening for the stories that give the South Valley a sense of place, we chose 10 people to represent the narrative of connection and "neighboring". These 10 persons became the basis for the sculpture. The over 100 interviews were edited and included in a website [www.vecinossculpture.com]. 100 portraits will be installed in a temporary mural that will coincide with the dedication of the sculpture. My preliminary design proposal roughed out a process that invited collaboration. I wanted to open my work to the expertise of the various contributors including digital design professionals and student interns from the community. In actuality, the project was strengthened by thoughtful suggestions from the County Arts Board, Working Classroom (www.workingclassroom.org) and the crew of thoughtful and socially engaged artists associated with Working Classroom.